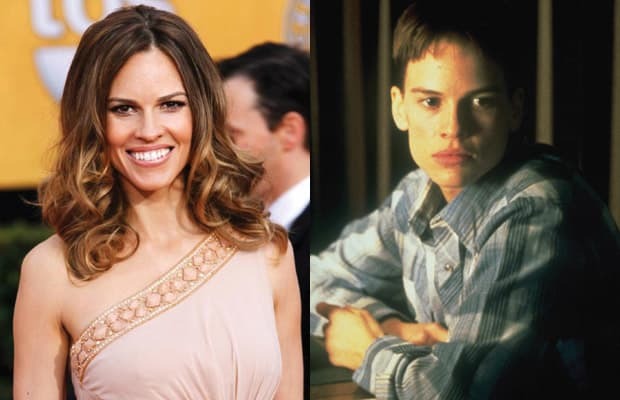 It took four years to cast the role of Brandon Teena, the transgender man who was raped and beaten to death after the discovery of his anomatical female parts. Swank, who was then relatively unknown in Hollywood, auditioned and managed to convince director Kimberly Pierce into casting her by lying about her age “like Brandon Teena would’ve done.” For the role, Swank dressed and lived as a man for a month by taping down her chest and stuffing socks into her pants and dropped a significant amount of weight to highlight her masculine facial structure. At one point, her neighbors even started to believe the "man" often seen coming into her home was her brother. Swank went on to win the Oscar for Best Actress.